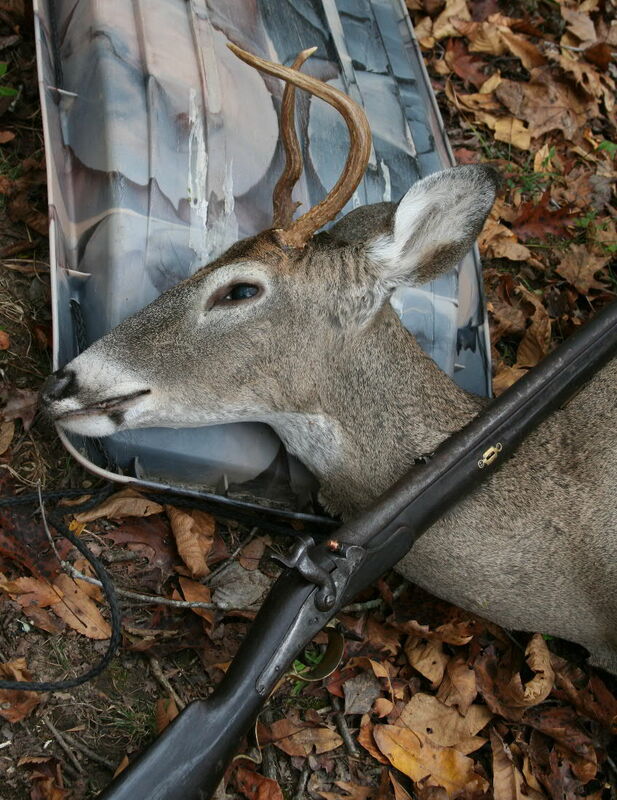 A Georgia spike buck taken with an original 2-groove Nepalese Brunswick Rifle on a deer-reduction hunt at Hard Labor Creek State Park. 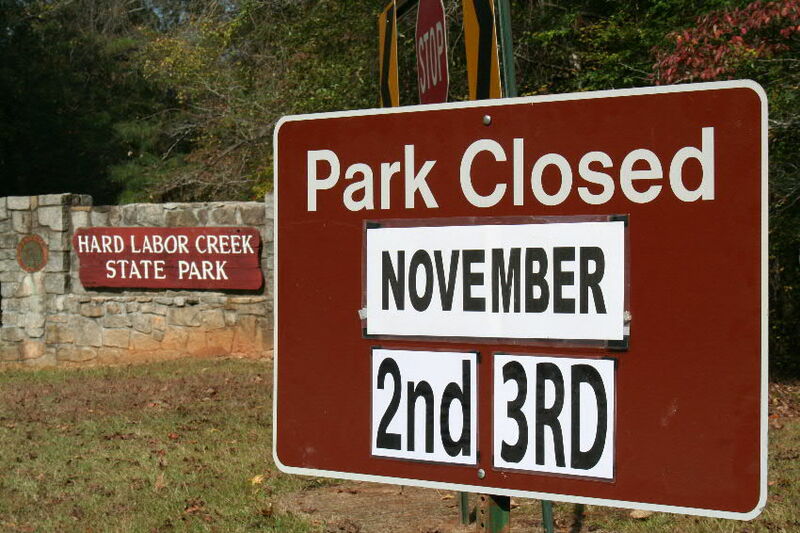 A regular deer harvest has taken place at Georgia’s Hard Labor Creek State Park for the past several years to keep the deer population within check. The first hunts allowed hunters to take as many deer as they could, but in more recent years the deer population has been reduced to a more sustainable level and the limit is now two deer per hunter. Often from 80-90 deer are taken each year, and these deer do not count towards a hunter’s annual allowed state harvest of 12 deer (2 bucks and 10 does). During the 2010 hunt about 200 participated. Many hunted around the golf course, and it was there where the most deer were seen and taken. One hunter, who had already taken his two deer, said that he saw eight more within shooting range. I purposefully hunted away from the crowd, and saw one deer the only day that I hunted. I killed this deer with a single shot at about 20 yards with a Nepalese Brunswick rifle. This gun was in the British service for about 30 years, some were used by Russia, others in Germany and about 200 were carried by Confederate troops in the Trans-Mississippi Region during the American Civil War. It was difficult to develop a load that would shoot accurately enough to hunt with. Only by reducing the height of some ridges in the bore that cut the ball’s patches, was I able to obtain reasonable accuracy. Even then, the gun shoots 1-foot high and left at 50 yards and 2-feet high and left at 100. This gun was poorly rifled, and those made in England and Belgium could be expected to give better performance with Jeff Tanner’s custom molds. The deer was apparently turning as I shot. The .75-caliber ball penetrated the neck, passed through one lung and exited through the left shoulder. The 120-pound deer dropped on the spot. It aged at 1 1/2-years, which is a healthy weight for this age-class whitetail. Deer in the same age range taken during the first years of the hunt averaged only 60 pounds, indicating that the deer harvest program is having its desired result of increasing the general health of the deer while reducing browse damage to the park’s vegetation. A video of the hunt is below and a duplicate has also been posted on YouTube. If you have any problems viewing this version click the following link to the YouTube video: http://www.youtube.com/watch?v=0d63j4XCVYY&layer_token=1d5b9eecc80a34e7. Farmers LaSalle, Ontario need someone to harvst deer?